TAG Filbert Brush number 4. 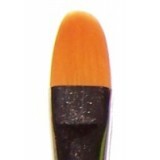 Excellent quality face painting brushes for the discerning artist. ..
TAG Filbert Brush number 6. Excellent quality face painting brushes for the discerning artist. ..
TAG Filbert Brush number 8. 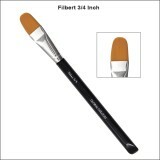 Excellent quality face painting brushes for the discerning artist. ..
TAG Filbert Brush number 10. Excellent quality face painting brushes for the discerning artist. ..
TAG Filbert Brush number 12. Excellent quality face painting brushes for the discerning artist. ..